Randy J. Martinez, age 56, of Taos, New Mexico, passed away March 26, 2019, after a brave fight with injuries sustained from a gunshot wound. He is preceded in death by his brother, Jude Martinez; grandparents, Meliton and Lupe DeHerrera, and Felipe and Eloisa Martinez, from Costilla, New Mexico. 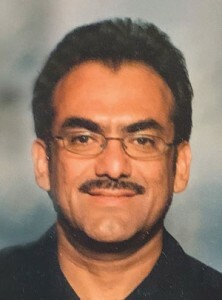 He is survived by his daughter, Julie Martinez, (who was the love of his life); parents, Maxine Caraveo and Eli Lee Martinez; brothers: Eli D. Martinez (Shirley), Salt Lake City, Utah; Anthony Martinez, Taos, New Mexico; Stephen Lopez, Tooele, Utah; sisters: Marcie Turek (Chris), Berna Martinez-Zamora (Joe), Herlong, California; Mary Chavez (Hector), Dolores Lewis (Chad),Taos, New Mexico; Rebecca Salazar (Mario), Tooele, Utah; nieces, nephews, aunts, uncles, cousins, and friends that loved him dearly.